The recent High Court decision in Burns v Corbett  HCA 15 confirms that state tribunals do not have jurisdiction in interstate disputes, unless the tribunal is constituted as a state court. The decision only concerned the New South Wales Civil and Administrative Tribunal and confirms the NCAT does not have jurisdiction in interstate disputes. 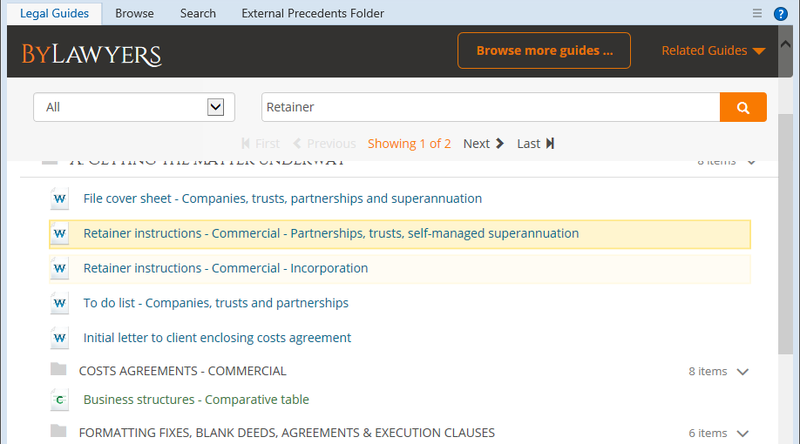 This may affect the Queensland Civil and Administrative Tribunal as there is doubt over whether or not QCAT is constituted as a state court. Where claims involve interstate disputes, careful consideration of the appropriate forum is required. 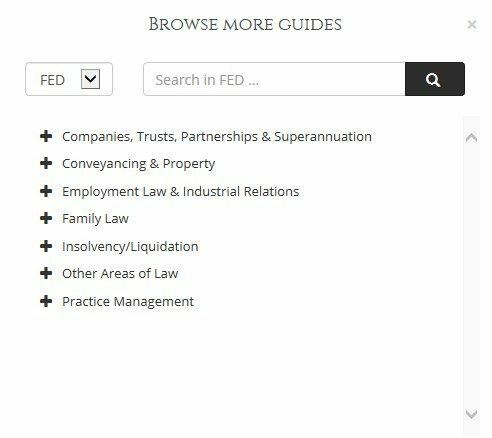 By Lawyers Reference Manual – 101 Employment Answers has been enhanced with the addition of commentary regarding Unfair dismissal – period of continuous employment and Casual Employment. An employee’s period of employment with an employer at a particular time is the period of continuous service the employee has completed with the employer at that time as an employee: see s 384(1). the casual employee had a reasonable expectation of continuing employment on a regular and systematic basis. The Full Bench decision of the Fair Work Commission in Shortland v Smiths Snackfood Co Ltd (2010) 198 IR 237 (particularly paragraphs 10 to 13) provides guidance as to the approach to take for calculating a ‘period of service’ as a casual employee. A summary of the proposed amendments to the Bail Act 1977 has been added to the Commentary in the Criminal Magistrates’ Court (VIC) Guide. The cumulative effect of these amendments is a significant overhaul of bail procedure in Victoria. They may or may not achieve their objectives, but regardless the impact is potentially significant. The commentary will be updated when the legislation commences. The first stage of these amendments is expected to commence 1 July 2018 with the second stage likely to commence later in the year. A McKenzie Friend (MF) is someone who assists an unrepresented person in court. They can be a lawyer, but they are not a substitute for a lawyer. So lawyer or not, when acting as a MF they may not address the court; they can take notes, organise papers, whisper quietly to and generally assist the litigant. McKenzie v McKenzie (1970) 3 W.L.R 472 was a family law case and MFs are more common in family and guardianship matters, but they may be permitted in any court where an unrepresented person needs assistance to ensure fairness. However, some MFs are overbearing do-gooders, or bush lawyers, who cause disruption and delay rather than actually assist and will not be permitted to remain. In guardianship hearings where there is no right of representation, a lawyer can act as a MF. Information has been added to the Act for Plaintiff and Act for Defendant commentaries in both the Supreme Court Common Law and Equity Guides to incorporate the requirements of Practice Note No. SC CA 1 which was issued on 13 December 2017 and which commenced on 1 January 2018. All parties to proceedings in the Court of Appeal are required to comply with the requirements contained in Part 51 UCPR (appeals) and Part 59 UCPR ( judicial review). The Practice Note makes additional provision for the preparation and conduct of proceedings in the Court of Appeal.